Can't attend? Follow Peatix Singapore to know of future events! Make more money, save more money for your indie event. Three speakers share their real experiences. Organising an indie event? At our seventh Backstage Pass, three speakers share experiences you can learn from to make more money, and at the same time, save money. Backstage Pass by Peatix is a community event for event organisers - exchange lessons, connect with people who enable events and grow as a group. Clarence: Crossing over from a free to paid event, to a full-house success. Ellen: The secret sauce to applying for government funding and recruiting an army of volunteers (seriously, they've got 200 signed up with more on the waiting list!). Bonnie: The pricing expert on creative pricing approaches to ticketing to increase sales. Network: Let your hair loose after a day's work and meet with folks with a flair for organising events. Learn: Gain tips on how you can balance your event's budget by making more money and driving costs low. Engage: You've got the floor for 60 seconds to share/pitch your event idea and find future collaborators! Dinner: Savour a delicious catered meal over good conversations. Standard organiser tickets available: RSV-Pea today! "Am I an organiser?" Click "read more" below for FAQs. Meet our bright-eyed cheery-faced speakers! Clarence Chan is the Founder of Singapore's first live music gig finder, Bandwagon, a venture driven by two of his biggest passions: music and business. Through his dream to connect people to music, Clarence goes beyond the online sphere to organise The Bandwagon Music Market, an eclectic mix of the best of Singapore's live music, art, flea-marketing, vinyl shopping, and food! A sold out gig, find out how he pulled it all off and helped amplify the local music scene here. Ellen Goel is the Founder of 22 Experience, an experience discovery platform through which she's organised a slew of unorthodox events including slacklining, bubble soccer, and archery tag! Her cumulative experience in organising events has since given her the confidence to go bigger and bolder this year with Adult Playground - the world's first and largest outdoor festival where sports and music meet. Supported by the Singapore Tourism Board's Kickstart Fund for emerging concepts, Ellen will share with us her experience in its application and other tips on keeping within an event's budget. Bonnie Spalding has over a decade's experience in pricing and marketing strategy within the hospitality and entertainment sectors. For the past six years she led the APAC office for the Rainmaker Group, a leader in price optimisation software and consulting. Bonnie recently left to pursue her own venture, and is looking to align her passions for pricing, innovation, and sustainable travel. She'll be sharing her insights into pricing strategies and how we can apply creative pricing approaches to event ticketing in order to increase demand and revenue! 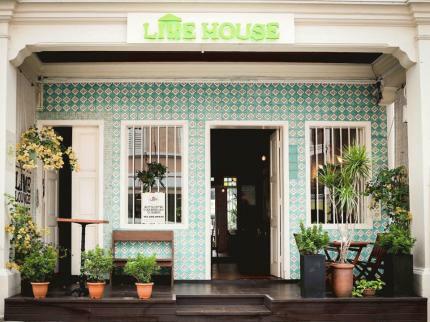 LIME HOUSE is a cosy restaurant and events space that brings the Caribbean experience to our tropical doorstep! They offer a tasty and delicious selection of Caribbean canapes and mains at the restaurant, plus beers and signature cocktails to leave guests in high spirits by the end of the evening. Lime is actually a Caribbean term meaning to hang out with friends - how apt as you gather your community here for your next event! Am I considered an "event organiser?" Peatix encourages events of all kinds to blossom - anything from tech talks, workshops and classes to theatre, art performances to parties, gigs to private dinners and gatherings. So yes, you're probably one without knowing it. I provide relevant services (audio-visual services, photobooth rental, app) - can I attend? Yes, we're an inclusive community. At the same time, organisers prefer to mostly meet other organisers. We require vendors to pay a higher entry of $50 and respect that this event is not a platform for selling services. Why can't I buy more than 4 tickets in one transaction? Diversity is important to us - come meet new friends! Vegetarian or Halal food? Yes! Please let us know in advance. Why isn't the event free? We serve food at wonderful venues. The price is not designed to be a barrier - we offer discounts to students, youths and dreamers. Can I pay at the door? Yes you can, but at $30. Are you looking for partners? Glad you asked - please drop us a line. Who organises this? The community team at Peatix Singapore - Fabian Lua and Claire Ding.